Eczema is a skin disease condition characterized by rashes accompanied by redness, swelling, itching, dryness, and flaking. Eczema occurs when the body immune system is unbalanced due to various reasons. Eczema is often associated with other allergic conditions like asthma and hay fever. Various factors that lead to immune imbalance include genetic, weakness, climatic changes, and psychological factors. At Ayur Bethaniya Ayurveda Hospital, we provide safe and effective herbal treatment plans that are customized as per individual patient condition to treat and recover from numerous skin diseases including Eczema. We ensure complete recovery from the symptoms caused by the condition and rejuvenates the body, mind and soul to feel a better individual. Along with the best medical infrastructure and medical utilities, we provide services from expert doctors and staffs for all round care and support to the patients. 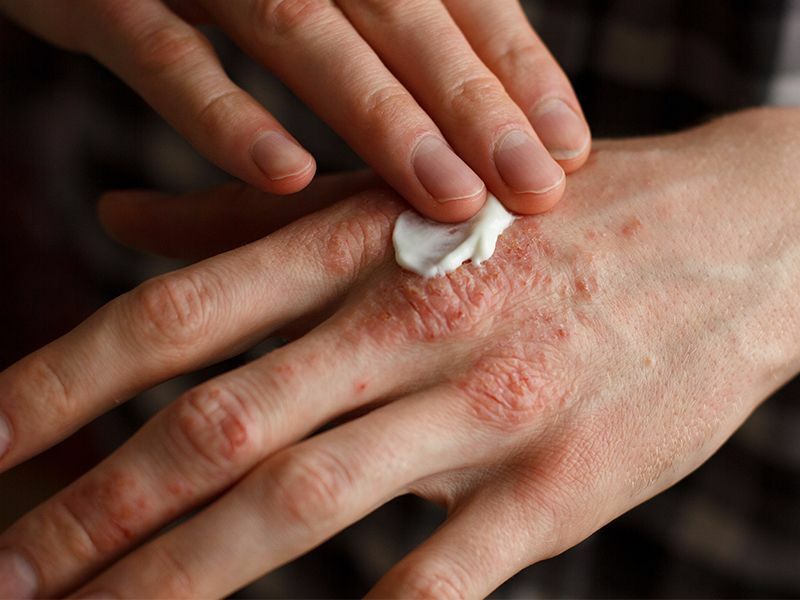 According to Ayurveda, Eczema is caused from unhealthy lifestyle. Unhealthy lifestyle leads to various issues that can lead to causes of eczema such as impairment of digestion and aggravation of Pitta. Aggrevated Pitta in the body manifests in the skin leading to accumulation of toxins in body tissues at a deep level and causing Eczema. Use of local creams may provide a relief to the symptoms but do not treat the root cause for the development of the condition. In such instance, the disease reoccurs in more annoyed levels. At Ayur Bethaniya Ayurveda Hospital, we believe in treating the root causes of eczema and to reduce the symptoms and prevent the reoccurrence of the skin condition. We understand individual lifestyle conditions and other factors and develop individualized treatment plan including proper diet and specialized herbal combinations. Our line of treatment aims in appeasing aggravated Pitta in the body and to enhance the body’s digestion and cleansing process to remove the accumulated toxins from deep layers. This includes diet and lifestyle advices and home remedies to reduce the skin irritation and cleanse the body and mind with our herbal decoctions and modifications. As part of the treatment process, we provide herbal external applications composed of herbs that have pitta balancing, blood purifying and skin detoxifying properties. Herbal formulation for internal administrations is also included to fasten the detoxifying process. Along with herbal treatments, wholesome diet rich in fiber and nutrients along with yoga and other physical activities rejuvenate the body and mind. The treatment method boosts the immune system and brings in balance and harmony within the body and mind. To know more about eczema diseases treatment plans and treatment cost, book an appointment now.